Russia, next to Iran, is one of the countries most strongly dissatisfied with Trump’s first foreign trip. The NATO and G-7 summits as well as the signals coming from Washington promise more problems for Moscow. The controversies and investigations regarding the contacts of the US president’s team with the Russians have no impact on Trump’s policy towards Moscow. USA considers it necessary to continue exerting pressure on Russia because of Russian actions in Crimea and eastern Ukraine, said Donald Trump in a conversation with Italian prime minister Paolo Gentolini before the NATO and G-7 summits. The US president reaffirmed the firm stance towards Moscow, common with the EU. The Americans emphasize the importance of convincing Russia to fulfil its commitments under the Minsk agreements. 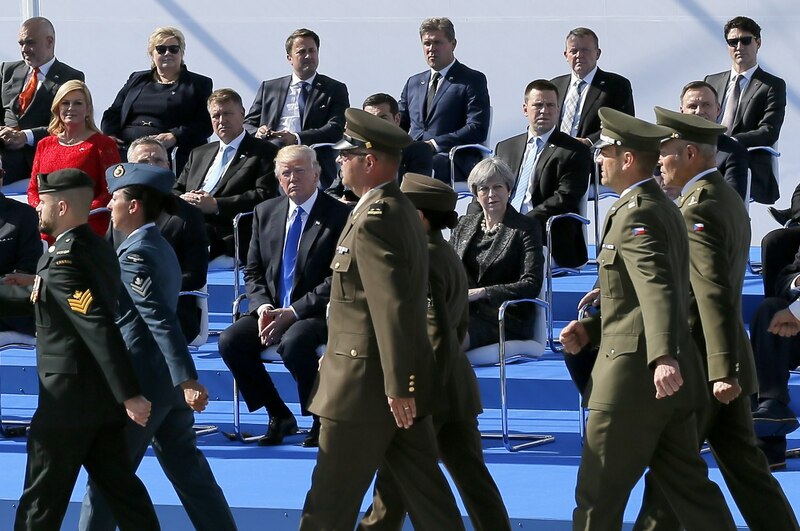 During his visit at the NATO headquarters on May 25, for the first time since taking presidential office, Trump called Russia a “threat” against which the USA and its NATO allies should unite. President said that “the NATO of the future must include a great focus on (…) threats from Russia and on NATO’s eastern and southern borders”. Trump emphasized that the alliance must be tough, strong and vigilant, and he called once more for an increase in defense expenditure. As might have been expected, Moscow is critical of the NATO’s plans. On May 26, Russian Foreign Ministry stated that measures aimed at reinforcing NATO’s eastern flank are eroding the provisions of the Founding Act signed by Russia and NATO in 1997. Moscow interpreted permanent stationing of NATO combat forces, “irrespective of their objectives, as permanent stationing” adding that „it does not matter that personnel will be deployed there on a rotational basis”. 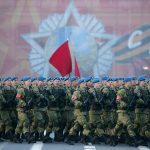 On the other hand, NATO’s plans to increase defense expenditure are presented by the Russians as a promise of a huge cash injection for the US arms industry, which – as announced by Russian ambassador to NATO Alexandr Grushko – will be the principal beneficiary when Europeans will be buying American weapons. Regardless of NATO or the EU, the political course adopted by USA is getting sharper. On May 25, the chairman of Senate foreign relations committee Bob Corker announced that this summer the committee will review a draft bill imposing new sanctions on Russia for meddling in presidential elections in 2016. The committee will start working on the draft bill after an update on the issue has been presented by the secretary of state. In the coming weeks, Rex Tillerson will update senators on the policy of Trump’s administration towards Russia and on the developments in Syria. Members of the Senate foreign relations committee have already supported a draft bill, which provides for the establishment of a special fund to “protect infrastructure and election systems of critical importance” against aggressive actions taken by Russia. 250 million USD is to be spent for this purpose in 2018 and 2019. Some of this amount will be used to support those NATO and UE members who have no such funds. It is important to note that the draft bill provides for using some of these money to support Ukraine and Georgia. On the other hand, on May 26, some important words were uttered by Trump’s chief economic adviser. Gary Cohn announced that US administration does not intend to lift the sanctions imposed on Russia, or to make them less severe. On the contrary, it cannot be ruled out that new, even more severe sanctions will soon be imposed on Moscow.